There are two different models available and both are available by PRE-ORDER ONLY. Orders can be made by clicking here or contacting jeremy@powsurf.com with your inforimation and 50% deposit by September 1, 2017. Please let us know what Model, size and shape you would like as well as if you’d like to purchase bindings, skins or upgrades to Spark Components. For Transformer models we also need your stance width, angles and regular/goofy. 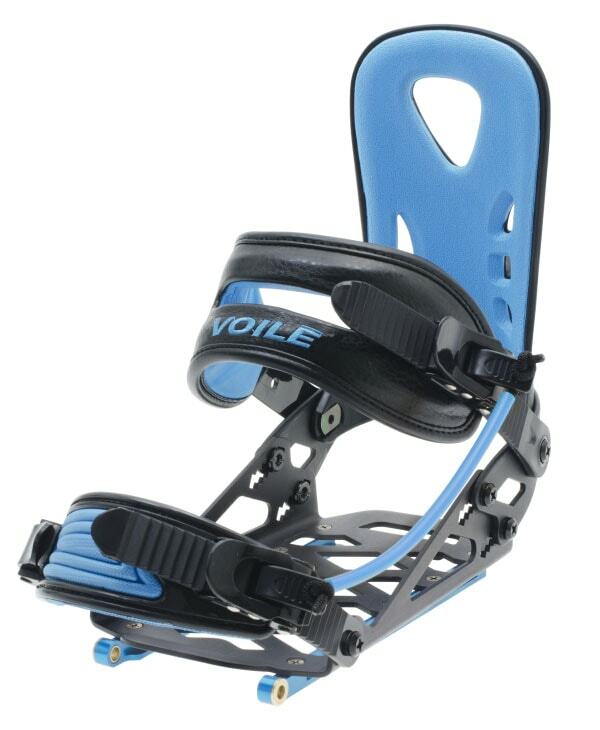 We have multiple binding solutions available, each with give and take in terms of lightness/packability/performance. Your binding decision should be based on the type of terrain & conditions you plan to splitsurf in. See below for the breakdown and description of binding options and pricing. Our Splitsurfers are a solution that will work great for some riders, but unnecessary for others. It really depends on the terrain that you frequent and the type of access you have. For tours that cover a lot of terrain and travel through very deep snow the split-surfer is a great solution. However, often times shorter roadside hikes and smaller sections of terrain can be lapped more easily on a boot pack for more bang for your buck. 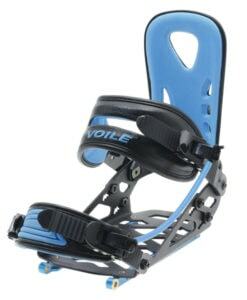 Use of Verts (special style of snowshoe available in our web-store) is the most efficient for these areas and use of a split-surfer would result in a lot of time changing modes and fiddling with equipment, whereas with a solid powsurfer and Verts you would spend that time riding and having fun. Upgradeable to Spark R&D components for extra cost. The “Classic” model is strictly a powsurfer, meant to be ridden at all times without bindings. 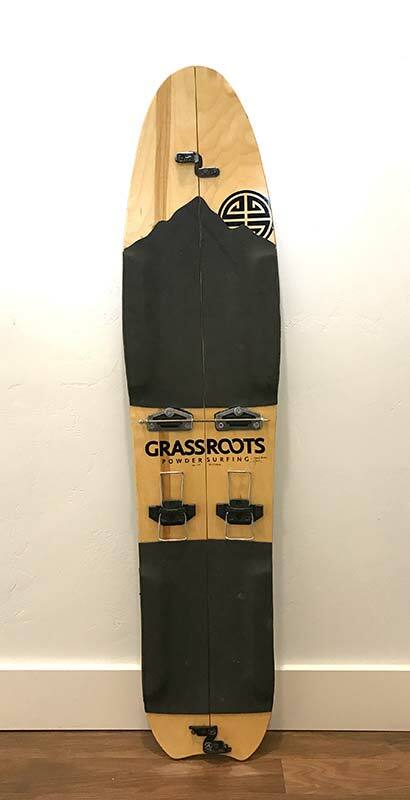 This is the Grassroots Crew’s go-to for most splitsurfing adventures because it is light, simple and efficient. The “Classic” splitsurfer weighs only about 1lb-1.5lb more than our solid powsurfers. The Ultralight Binding is our first pick because they are very light and extremely compact, stashing easily into any size of pack for the surf back down. 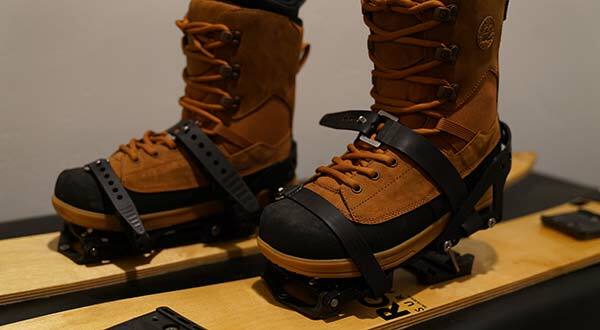 The bindings on this model are only used for uphill travel. Our 2017-18 Classic Splitsurfer comes stock with Karakoram Ultra clips and voile Toe/Heel pieces. 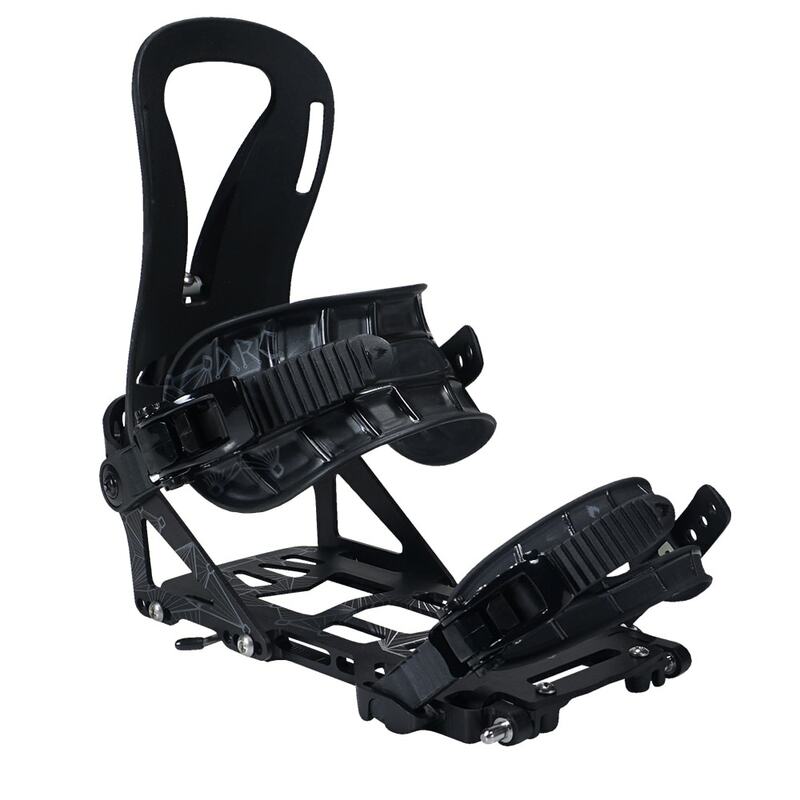 They can also be configured with Spark R&D hardware to match the Spark R&D minimalist binding and the full binding. Cost for the board is $749.99 and does not include climbing skins and ascent bindings. 1.4 lbs. Light, small and easily packable. About half the packable size of traditional bindings. **Side-hill leverage/performance varies depending on stiffness of boot. Leverage decreases if using sorrels or softer boot. We advise against steep or icy sidehills. The “Transformer” model has the option of both riding with or without the bindings. There’s significant added weight, but if you ride in areas with icy or long hard packed out runs it can save you a lot of walking down in un-surfable conditions. It can also make for great poaching of resorts and sidecountry by riding lifts using the snowboard mode. 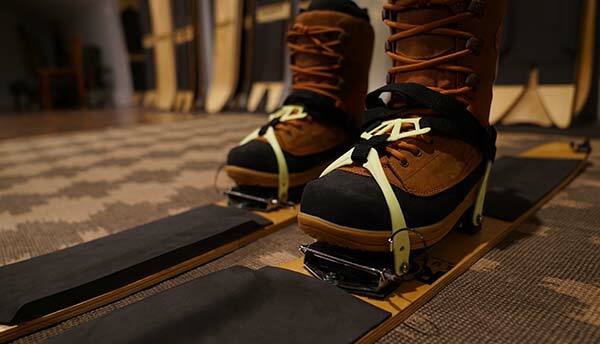 This board is designed for best performance as a powsurfer (no bindings). The “snowboard mode” (with bindings) is secondary to this in our design. “Snowboard mode” is more of a “survival mode” meant for getting through areas with adverse snow conditions on the way down, making long sidehill traverses, and riding out long packed trails on the way down. It could also be used to access backcountry via ski resorts. 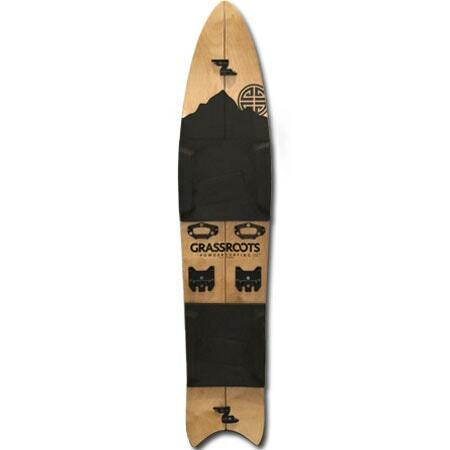 Cost for the board is $949.99 and does not include climbing skins or bindings.